There are loads of new beauty trends happening right now, and we are loving them all. 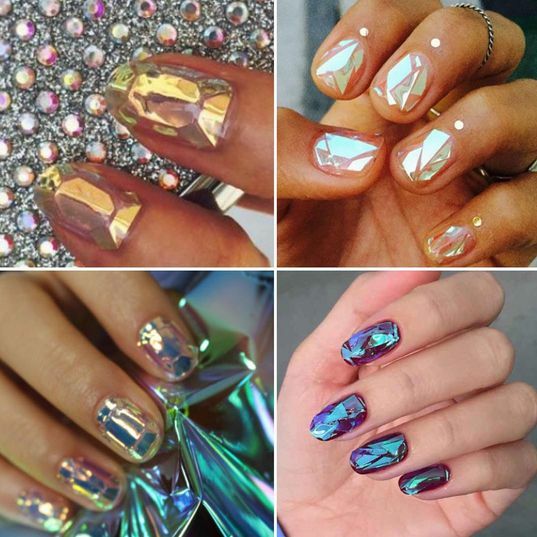 One of our faves is the Shattered-Glass Nail Art that has been making its rounds on Pintrest, Salons and Instagram. The look first originated in South Korea (of course) and was created by a salon owner – Eunkyung Park (owner of Unistella Salon in Seoul). It features a glassy surface that can easily be achieved with some strips of cellophane, carefully placed over already painted nails. They key to achieving a long lasting look when it comes to this nail however, is using gels. According to a Los Angeles-based nail artist, Fariha Ali– “It has to be done with gel, or else it will peel off. You have to put a layer of clear structure gel to encapsulate the cellophane before the top coat.” She also says you need holographic paint in thin layers to achieve the look perfectly. 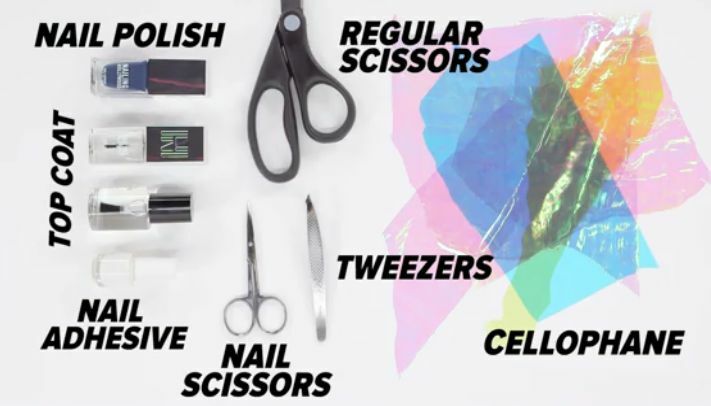 Now that you’ve got your tools, you can start painting and sticking your way to fab nails! There weren’t a lot of video tutorials because this nail look would probably be done in a salon, but here’s Youtuber Charlotte Stories with her version to help out.